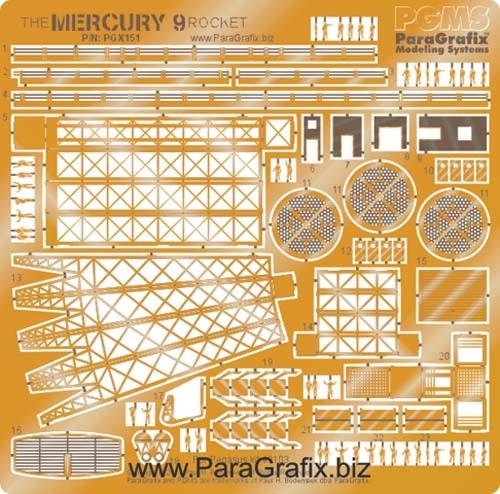 Enhance the details of Pegasus Hobbies' 1/350 Mercury 9 Rocket kit with railings, doors, blast shields … even a radar dish and tower! Eighty pieces bring this "diorama in a box" to life. Features "easy fold" fold lines - no special folding tool required! Doors for the blockhouse that can displayed open or closed, and in either direction. Crew members and ground support personnel. 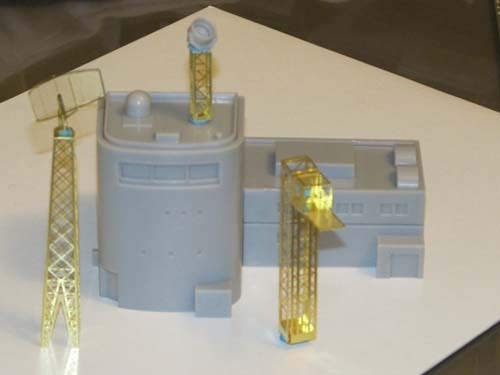 Replacement tower for kit's searchlight. Blast shutters for the blockhouse windows. Grillwork for the launch complex exhaust escape tubes.